Mariana Benites - Graduate student in geological oceanography (University of Sao Paulo) - reports on her latest research. Ferromanganese nodules are far from being homogenous, spheroidal bodies. Different kinds of textures, porosities, nuclei, laminations, and fractures are generally present. 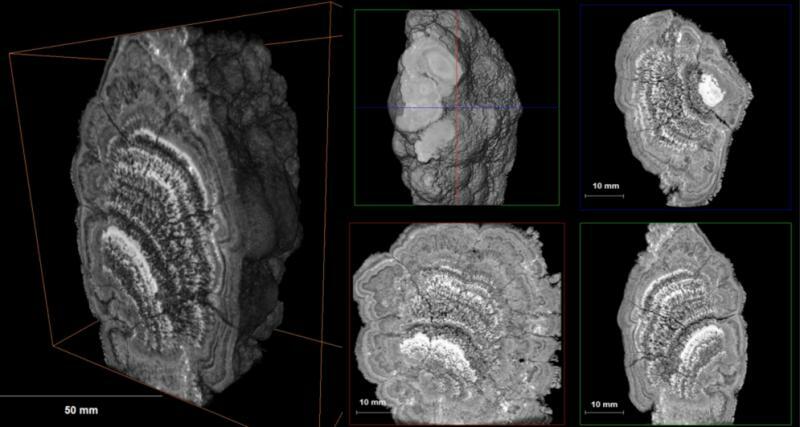 Three-dimensional X-ray microscopy allows for the visualization of the interior structure of ferromanganese nodules by revealing contrast between light and heavy materials. White to light grey colour corresponds to heavier components, while darker grey corresponds to lighter components. The result is quite similar to a tomography of the human body, without the need of cutting or breaking it in order to discover what is going on inside. The structure of the specimens, imaged by a Versa XRM-510 Xradia from Zeiss at the Laboratory of technological characterization, School of Engineering, University of Sao Paulo (Brazil), is clearly inhomogeneous and does not correspond to the classic model of nodules with perfectly concentric layers around a nucleus. Two main distinct growth patterns are identified, an internal and an external one, which differ mainly in layer morphology and growth direction. The internal structure is predominantly columnar, while the external portion is microlaminated. 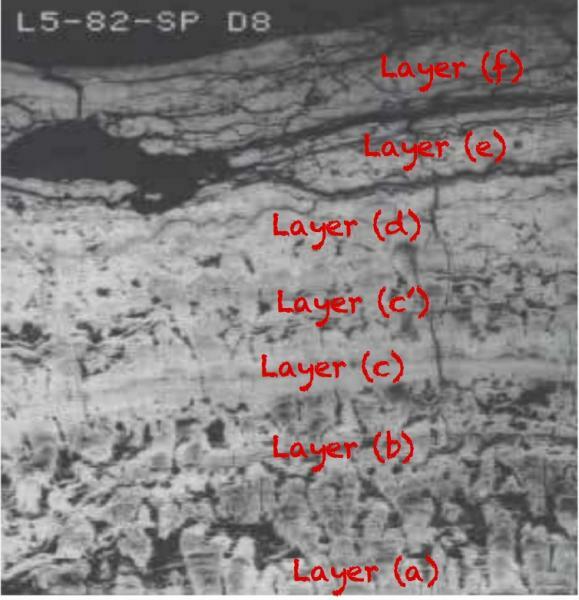 Compositional variation between the layers is revealed by the colour alternation, even though X-ray microscopy gives no information about the chemical composition of single layers. Meanwhile, these are preliminary characterizations on which further geochemical studies will rely on in order to tell the story of how these curious rocks were formed. The British Geological Survey (BGS) is one of the world's leading and forward thinking environmental science institutes with a focus on both public good science for government and geoscientific research to understand earth and environmental processes. We are looking for a postdoctoral research scientist (24 months) as part of a new large, NERC-funded project (MarineE-tech), which is investigating the E-tech element (the metals required for environmental and cleaner energy technologies) potential of marine ferromanganese (Fe-Mn) deposits. MarineE-tech is a complex, cross-disciplinary project that brings together national and international partners, with the overall objectives of: determining the E-tech element resource potential of Fe-Mn deposits; assessing the potential for using low-carbon extraction technologies to recover these elements; and the environmental impacts of their extraction. 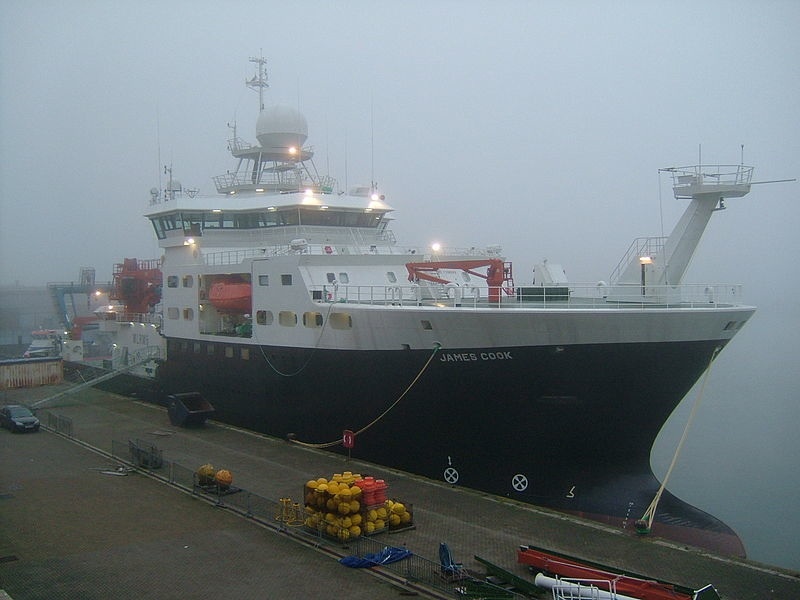 Our research will focus upon samples collected on four research cruises where Fe-Mn deposits from the north-east Atlantic will be mapped and sampled, and compared with those from similar latitudes in the south-west Atlantic. One 50-day cruise will focus on Fe-Mn deposits on the Tropic Seamount. Three other cruises (total of 55 days) will be led by our Brazilian-partners at the University of São Paulo and will focus on Fe-Mn deposits on the Rio Grande Rise. You will principally be involved in the physical and chemical characterisation of Fe-Mn deposits using a combination of whole rock geochemistry, microbeam imaging, and high spatial resolution trace element and isotope studies (e.g. Nd, Hf, Pb) in both 2D and 3D, to develop a litho-, bio-, chemo-stratigraphic framework across prospective areas of the Tropic Seamount. You will be a proficient researcher, with a background in marine geology and/or geochemistry. You should have experience of high precision radiogenic isotope geochemistry, and ideally be trained in LA-(MC-)ICPMS and elemental geochemistry. You will be expected to undertake high spatial resolution characterisation (SEM and other techniques) and micro-sampling of the Fe-Mn crusts, ready for chemical purification and high precision isotope and trace element analyses using a range of methods. You will work in an ultra-clean isotope laboratory environment, developing sample preparation procedures for low-blank chemical purification in order to undertake high-precision isotope ratio analysis using a range of mass spectrometry instrumentation. You will also use LA-(MC-) ICPMS to assess temporal and spatial variation in metal content of the samples and elucidate the 2D and 3D formation history of the deposits. Combined with other activities these data will allow us to assess the temporal and spatial environmental factors, and processes that influence the compositional, textural and thickness characteristics of marine Fe-Mn deposits. should be able to work flexibly and effectively with others, have good time management skills and be able to work on several tasks concurrently. Specifically you will be expected to interact closely with all members of the MarineE-tech research team including others at BGS, the National Oceanography Centre Southampton, University of Leicester, University of São Paulo (Brazil) and our industry partners, as well as members of the other NERC Security of Supply of Mineral Resources (SoS Minerals) Research Programme projects. This is advertised as a full time post but we will consider applications from those who require more flexible arrangements. Starting salary for this 2 year post will be between £28,200 per annum and £30,600 per annum depending on qualifications and experience. Working hours will be 37 per week excluding lunch breaks. A generous benefits package is also offered, including a company pension scheme, childcare voucher scheme, 30 days annual leave plus 10.5 days public and privilege holidays. Applications are managed by the RCUK Shared Services Centre; to apply for this post please visit our job board at http://www.topcareer.jobs/Vacancy/irc222929_6335.aspx and complete an online application form. Applicants who would like to receive this advert in an alternative format (e.g. large print, Braille, audio or hard copy), or who are unable to apply online should contact us by telephone on 01793 867003, Please quote reference number IRC222929. Closing date for receipt of application forms is 8 May 2016. For further details or enquiries about the post and project, please contact the post director: Paul Lusty (email: plusty@bgs.ac.uk). The Natural Environment Research Council is an equal opportunities employer and welcomes applications from all sections of the community. People with disabilities and those from ethnic minorities are currently under-represented and their applications are particularly welcome. The British Geological Survey is an Investors in People organization and has achieved Bronze status for Athena Swan – a scheme that recognizes excellence in women's employment in science, technology, engineering, maths and medicine (STEMM) in UK higher education. There is a guaranteed Interview Scheme for suitable candidates with disabilities. Cruise JC142 of the RRS James Cook, is leaving Tenerife, Spain, on the 29th October bound for Tropic Seamount, North-east Atlantic. The cruise will depart and return to Tenerife in the Canary Islands. While at the Tropic Seamount, we will deploy the autonomous underwater vehicle 'Autosub 6000', and the remotely operated vehicle 'ISIS' to map and sample ferromanganese crusts across this 50km wide gyot. The gyot (a flat-topped seamount) rises some 3km from the abyssal plain where it forms a plateaux at a depth of ~1100m. Here, the conditions over the past 20 million years have led to the growth of ferromanganese-rich crusts. 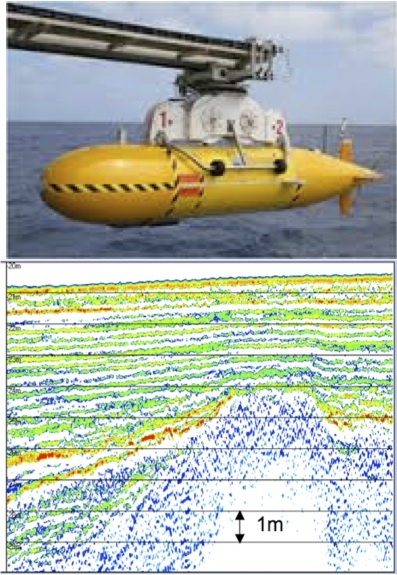 Autosub6000 (left) is NOC's deep-diving autonomous underwater vehicle famous for its discovery of the deepest hydrothermal vents know on Earth in the Caribbean at a depth of 5000m. It will carry a number of sensors including sidescan and swath bathymetry sonar and bottom photography to map crusts and sessile biology. ISIS (middle) is NOC's deep-diving ROV and will deploy a core drill to sample over 100 sites for manganese crusts. In addition, we will deploy hydrographic moorings to map Taylor Column and other turbulence caused by the seamount, and a benthic lander to monitor sediment plumes generated by the ROV. HyBIS (right) is NOC's versatile robotic underwater vehicle that delivers payloads, surveys and samples the deep sea floor. In MarineE-tech it will survey and collect samplesf from the Rio Grande Rise. Cruise JC142 will involve partners from NOC, BGS, University of Southampton, HR Wallingford, Gardline Marine Environmental Surveys Ltd., the Spanish Geological Survey and the University of São Paulo, Brazil.